The former Harrisburg State Hospital closed in 2006 and now serves as government offices. Valley's birth mother lost custody of her, and Valley spent her preschool years in foster care. 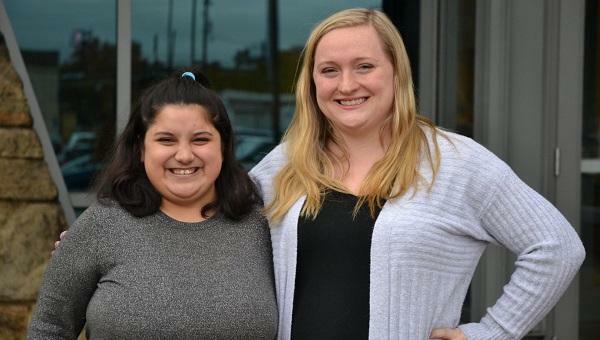 She was adopted at age seven, and when she turned 18, her adoptive parents placed her in community residential rehabilitation--housing and mental health care provided by private companies and nonprofits but funded through the state's mental health budget. She's lived in three community residential rehabilitation homes, moving every two years in accordance with a regulation that caseworkers place residents into an apartment of their own after two years of rehab. But Valley's attempts at living alone didn't go well, she said, and In July she moved back in with her adoptive parents. Valley is one of 40 people in Dauphin County waiting for a spot in community residential rehabilitation. She's been waiting for four-and-a-half months. Her situation reflects a common problem across Pennsylvania: Thousands of people who qualify for state-funded mental health services aren't getting them. State mental health funding has decreased over the past 25 years as mental health social programs moved away from the old state mental hospital system. That has some county mental health program administrators saying the state isn't holding up its promise to take care of its most vulnerable citizens--people like Samantha Valley. Samantha's adoptive father, Dan Valley, said his daughter needs full-time, professional support, something he and his wife can't provide. "Yes, we love her, we raised her, but she is in a position in her life where she needs a fairly constant amount of supervision, and she just basically has never gotten the proper amount that she really needs," he said. Valley's case manager, Erin Goodyear, said she's pushing to get Valley into community residential rehabilitation at Keystone Mental Health Services, one of the community mental health providers that have emerged as state hospitals are closed down. Executives at Keystone didn't respond to requests for comment. With long wait times across the region, finding Valley a new home hasn't been easy, Goodyear said. "Housing waits, it can be over a year, easy, for them to get into certain programs." Goodyear noted that one of the places Valley used to live only has rooms for three people. When Valley's two years were up, she had to leave. That puts another person into that space for two years. In addition to being diagnosed with bipolar disorder and ADHD, Valley shows signs of an intellectual disability, Goodyear said. However, Valley never received that diagnosis during school, and as a result, she doesn't qualify for housing for those with intellectual disabilities, even though she's "right on the borderline." Samantha Valley, left, stands for a portrait with her case manager Erin Goodyear, right, outside of Dauphin County's Case Management Unit. Valley, who has bipolar disorder, has been waiting four-and-a-half months to get community residential rehabilitation. Every person's circumstances are a bit different, but Valley's situation speaks to a common problem, said Dan Eisenhauer, Dauphin County Mental Health/Intellectual Disabilities administrator. Of the 40 people on his list, the average wait is two-to three months. For those who are slated to get long-term residential care, the waits are a year or more. The waits are long because the state hasn't provided enough money to pay for more beds, Eisenhauer said. "In a broad brush, we have to prioritize available resources for the most in-need, and so everybody gets something in the mental health system, but if you're more challenged with your symptoms, our capacity to serve high-need people is stretched thin, so we end up with waiting lists for our most intensive services." In 2006, Eisenhauer helped to close Harrisburg State Hospital, which housed people with mental illnesses and intellectual disabilities. Under the old system Samantha Valley may well have ended up at that hospital. The closure of Harrisburg State Hospital and other state facilities is tied to a 1999 Supreme Court ruling on a lawsuit, Olmstead vs. L.C., which determined that a mental illness or intellectual disability is not a valid reason to keep someone in an institution. That outcome gave states a mandate to do what Eisenhauer said Pennsylvania was already working toward: shuttering its antiquated hospitals and moving the occupants into the community as much as possible. Eisenhauer helped to find homes for the last 72 people to leave the Harrisburg facility. Most of those people have flourished in community care and are better off than they were in the state hospitals, he said. The problem, he said, is there isn't enough money to pay for proper community care. When a state hospital closes, the Department of Human Services allocates a certain amount of annual revenue to surrounding counties that would have gone to that hospital. This is known as the Community Hospital Integration Project Program, or CHIPP, (not to be confused with the Children's Health Insurance Program, CHIP). The counties spend that money by contracting with nonprofits and companies that provide mental health services. Funding for Dauphin County hasn't increased since the year after Harrisburg state hospital closed, according to data Eisenhauer compiled. Additionally, then-Governor Tom Corbett cut funding 10 percent in 2012, Eisenhauer noted. Democratic Governor Tom Wolf tried to restore those funds, spokesman J.J. Abbott said in an email, but Wolf's efforts were rejected by the Republican-controlled legislature. "We understand that caseloads are growing, and the state and counties have budgets that are stretched thin. We will continue to work with the legislature to increase funding for mental health and intellectual disabilities services," Abbott said. In Dauphin County, Corbett's 10 percent cut amounted to $1.9 million. The decrease "eroded" mental health care services across the county, Eisenhauer said. That's because some of the community providers are funded entirely through the state's mental health budget, he said. As counties reduced their contracts with providers due to less money, providers closed programs and reduced staff. In a document, he showed how those funding cuts led to program reductions in Dauphin County. Gaudenzia closed its New View "Maximum Care" program, affecting 8 people. Keystone Community Mental Health Services eliminated its apartment program "by attrition," affecting 15 to 30 people. NSH Capital Region cut staff and converted its long-term care program into a shorter-term program, among other changes, affecting 15 people. Other program cuts included the elimination of group counseling and a reduction in a school program that helped students at risk of mental illness and suicide. 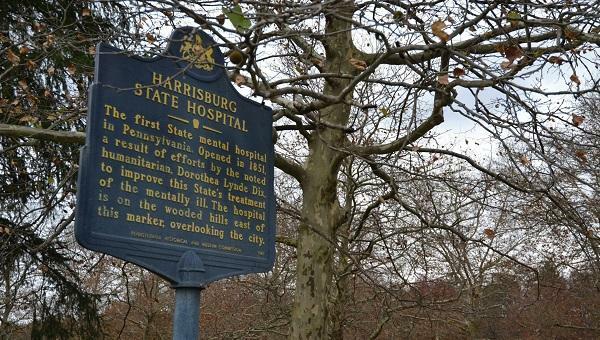 sign is posted near the former Harrisburg State Hospital, which now serves as government offices. The facility closed in 2006, and the state allocated funds to surrounding communities to be used for mental health services. Those funds have decreased in the years after its closure. That leaves people like Samantha Valley going without needed services, and leaves people like her parents trying to fill in for professionals. The wait lists aren't just a problem in Dauphin County. In Franklin and Fulton counties, there are 27 people waiting to get into residential programs, according to the administrator for the two counties, Cori Seilhamer. Annie Strite heads Cumberland and Perry counties' mental health/intellectual and developmental disabilities agency. There, the two-county region's annual budget of about $10 million pays for 72 residential rehab and long-term care beds. Right now, she has 25 people waiting to take those spots. The lack of funds impacts mental health care in other ways as well, Strite said. Wait times to see a therapist or psychiatrist can also be long. There may be fewer available counseling sessions than in previous years. In Cumberland County, population increases are exacerbating the problem, she said. "Population growth also puts more stress on our crisis intervention programs and emergency departments," Strite said in an email. "Think about the number of times one of our local hospitals goes on 'divert' status. So if Harrisburg ED goes on divert, many citizens go to Geisinger/Holy Spirit. This includes individuals in crisis seeking inpatient psychiatry. So the emergency rooms get very difficult and wait times go up." Caught in this system are thousands of people with stories as unique, yet as similar, as Valley's story. For her and others with serious mental illnesses, the lack of funding means not only is she not getting supportive housing, she also isn't getting enough time with a therapist. Right now, she sees her doctor about every three weeks, Goodyear said. The doctor adjusts her medications and listens to her concerns, but Goodyear said Valley should be seeing a therapist once a week. "He's working on trying to find her a therapist, but there's also long waits to get into therapy," she said. "So she's been in therapy before but she wants to start back up." Valley said therapy helped her during tough times like when her mother was going through breast cancer treatment--she's doing better now--or when Valley lost her part-time job at Hershey Park. Valley said she's anxious about trying to find a new home and looking for a new part-time job. "Depression is not easy," she said. "It's really, really hard when you're depressed. Talking to someone like a therapist or doctor can really, really help." Stage magicians are familiar faces on TV, and not unknown on local stages. But this week, Pittsburgh gets its first theater focusing solely on magic. Liberty Magic, an intimate venue focusing on close-up, sleight-of-hand magic, opens Wednesday. The Downtown space, run by the Pittsburgh Cultural Trust, will feature performers doing multi-week residencies, with six shows weekly.